"Fair winds and following seas" is a traditional blessing, farewell, or toast to a mariner. The phrase is depicted here by a tiny boat on a figured blue Corian base and by a windswept tree rooted in the central island. 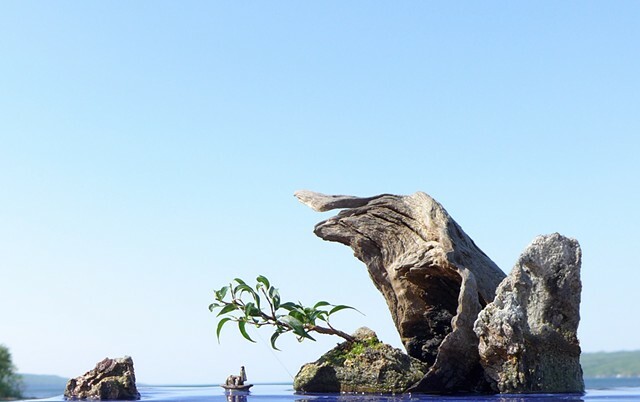 A waterfall from within the overhanging driftwood adds sound and motion to the visual current. The sculpture was photographed with the "borrowed scenery" of New York's Seneca Lake in the background.